I am a member of the Mom It Forward Blogger Network. This post has been compensated for as part of the Marpac Blog Tour by Mom It Forward Blogger Network and their client Marpac. You have probably read about my struggles with my kiddos sleeping at night. It is not ideal as I lose sleep and am cranky and tired in the morning. 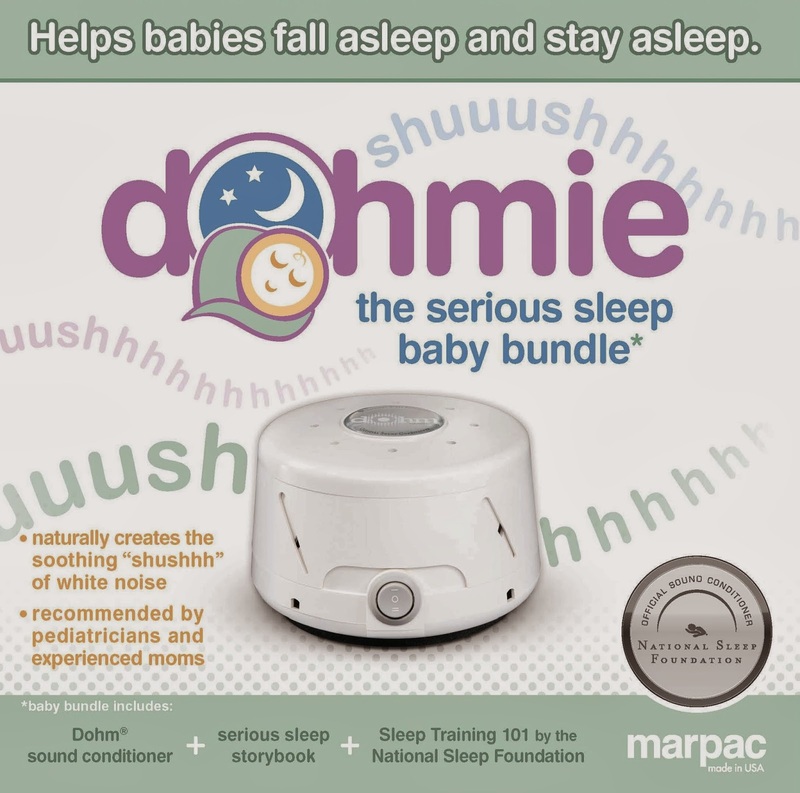 I was excited to try the dohmie by marpac. The Dohm creates a natural white noise to help babies fall asleep and stay asleep, allowing the rest of the family to sleep easier and/or carry on with normal household activities. I took it out of the box and simply plugged it in. I turned the Dohm on with just a flip of a switch and started adjusting the flow of sound by rotating the cap and collar. The Dohm's sound is seamless and continuous because it uses electromechanical technology to create the natural sound of rushing air, unlike other white noise machines that work on a digital loop and cut off after a set period of time. It seemed a bit loud at first but I got used to it and right off the bat from the first night of use, Mason slept longer and more sound. Let's just say I was giddy and couldn't wait to use it the next night. I tried reading the accompanying storybook the next night but there was little interest. 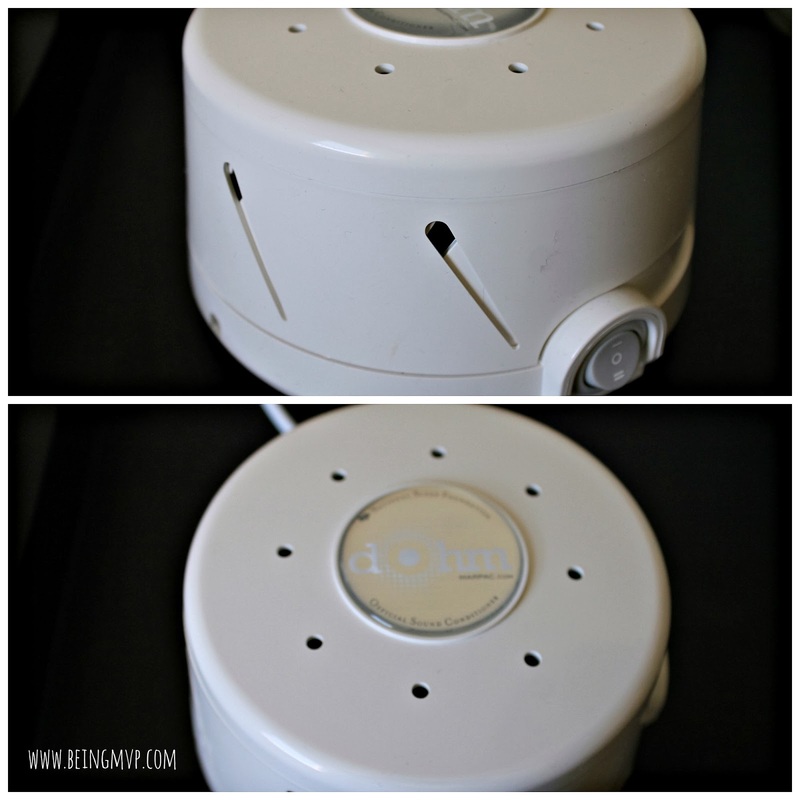 I have been using the Dohm for some time now and am happy with the results. Although it doesn't work like magic every night, on most nights it does and it's awesome at drowning out other household sounds i.e. blender, shower, television, Kenzie's nonstop talking and more. I wish I stayed home during the week so I could test it out for naptime. 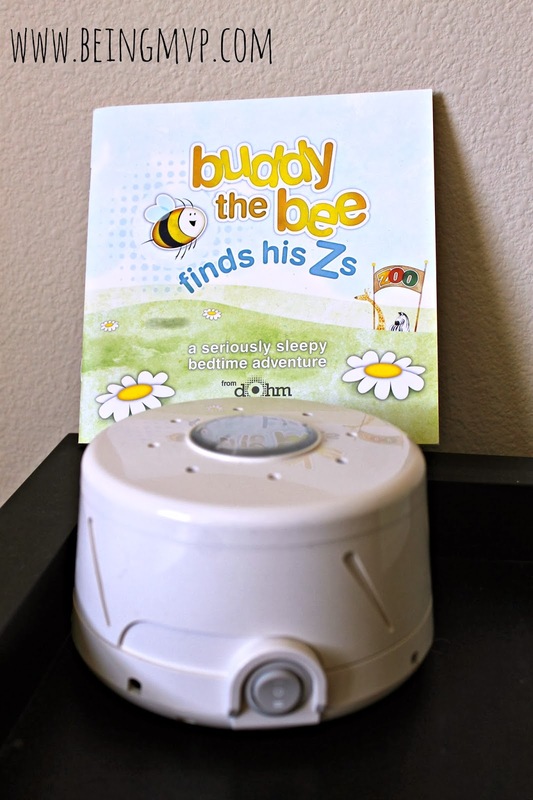 I have used many noise machines and this is by far my favorite as it truly works and is compact and portable. 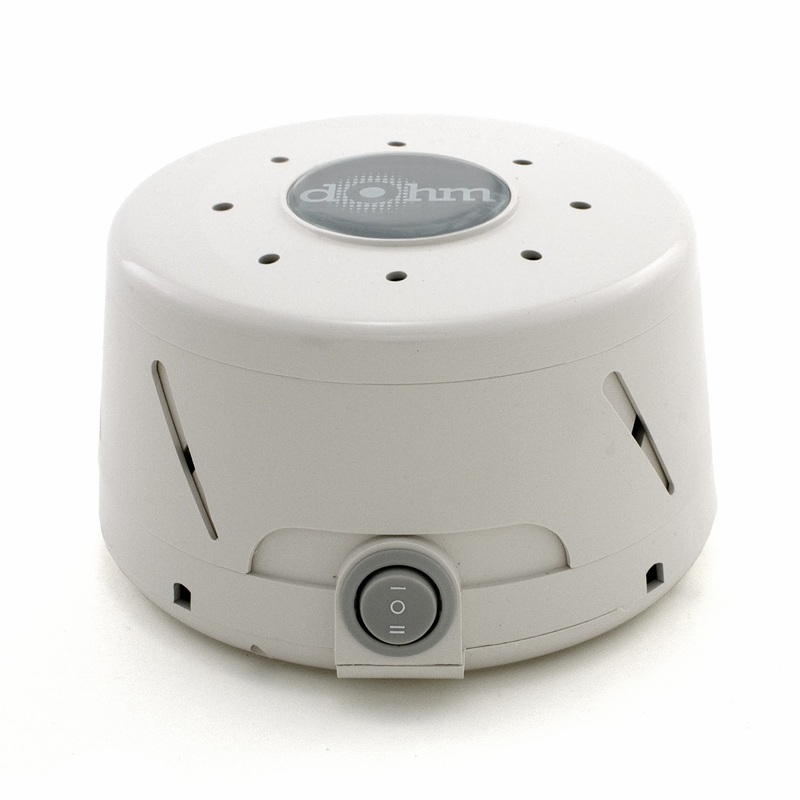 If you are having a hard time getting your baby/toddler to sleep through the night, I highly recommend you pick up a Dohm as it is affordable ($59.99). 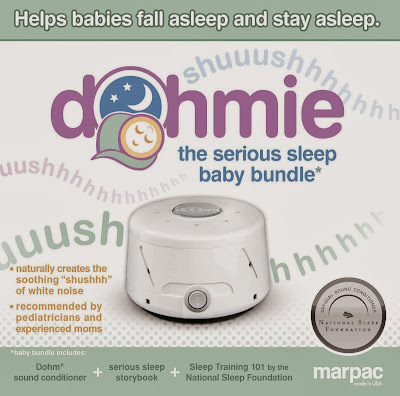 For more information on the Dohm visit Marpac. Make sure to connect with Marpac on Facebook, Twitter & Pinterest! My grandsons have a sound machine like this in their bedrooms that they've been using since they were born. They know once it gets turned on that it's time for bed. We use a sound machine for Sawyer and have since he went in his crib. It really helps with background noise so we can still do stuff around the house if he's sleeping. It's a must have! I like how compact this machine is and will look out for it. I am glad to hear that it is working with a new baby coming soon anything that does this white noise would be great!